If you are aged 18-25, a member planning an ocean passage may have a place for an OCC youth-sponsored crew. The aim of the Ocean Cruising Club (OCC) Youth Sponsorship Programme is to foster the development of ocean cruising by enabling young people to gain experience as a crew member on a long distance sailing passage. The programme enables the introduction of individuals between the ages of 18 and 25 to experienced ocean sailors, and the sponsorship award contributes towards the costs of the voyage. 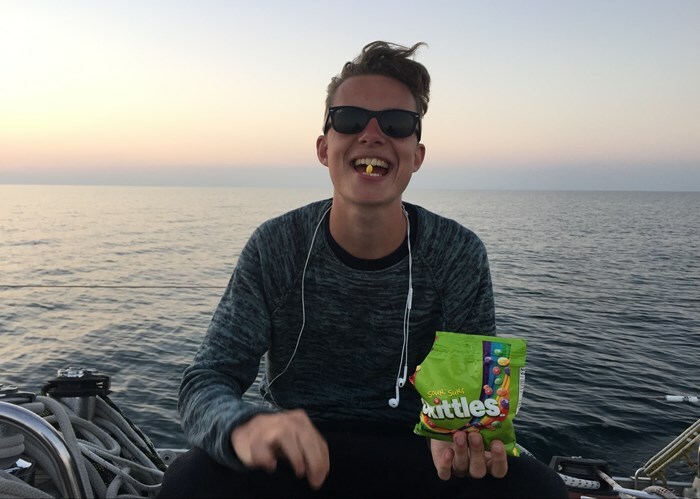 In 2018, we sponsored Charlie to sail back to the UK from the Azores with an OCC member aboard his 45ft steel ketch. Read about his voyage by clicking on the link below. Taking part involves joining an experienced crew on a passage somewhere in the world. It's a great opportunity to clock up some sea miles and qualify for Club membership! Apply to the Youth Sponsorship Programme via the link below. Learn how to apply for the programme here.